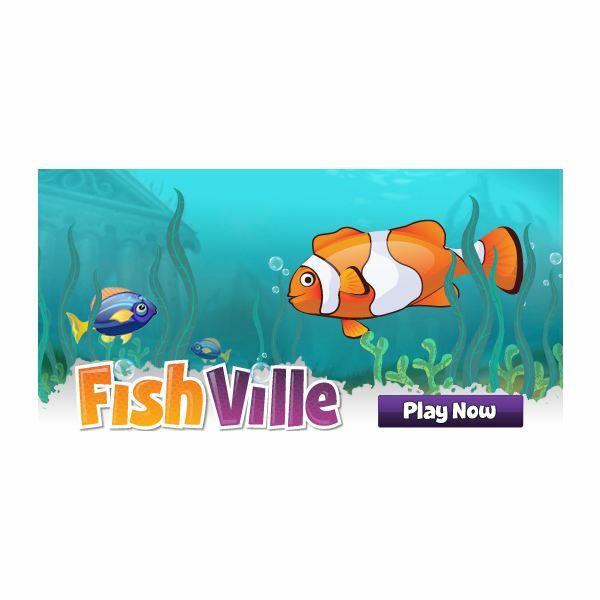 Fishville is an online video game for Facebook that allows players to create virtual aquariums. Its popularity was remarkable when considering the fact that it had amassed 875,000 users within two days of launch. 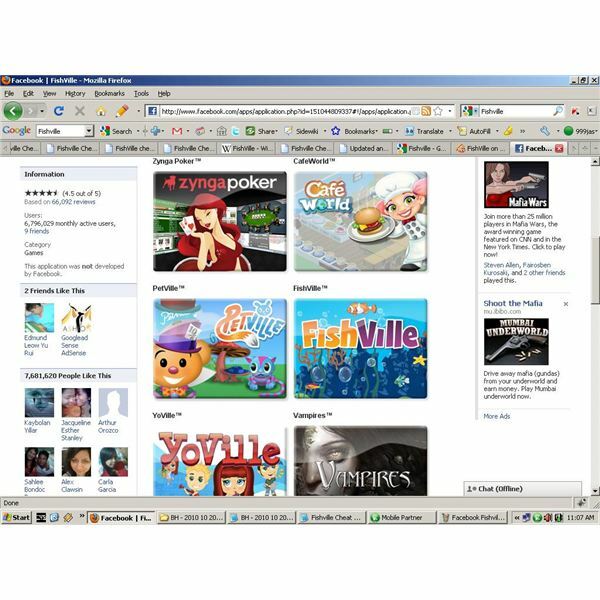 As of March, 2010 there are over 25 million users playing the game in Facebook. As a Fishville player your job is to buy, feed, and train fish. By spending coins and sand dollars players can buy fish. It's not an easy task to collect coins and sand dollars to reach higher levels quickly. That's why we are here to help. If you follow these simple tips and Fishville cheat codes you can advance in Fishville at a rapid pace. Using cheats is a great and funny way to advance in Fishville. You have to be very careful when using some of the cheats and tactics available on Internet. Avoid spammy websites and costly tools that promise thousands of coins and points. There are number of Fishville tips and tricks that are safe to use. Let's see what are they and what can you get using them. When you play Fishville game, if you want to sell fish you need to wait until them mature. Therefore the best strategy is to buy rapidly maturing fish to collect more coins and more experience points. Mini Dart Goby fish is a cheap option for early stages of the game. It costs only 9 coins. However we have to think about the selling price too. Our choice is the Scooter Blenny. It can be purchased for 88 coins and grows in 24 hours. Once it matures you can sell for 221 coins. Another advantage is the fact that Scooter Blenny brings more experience points. This is a great cheat for Fishville to advance quickly through levels. Buying fish eggs also gets you more experience points. Shy Hamlet costs 35 coins but it brings 15 experience points (XP). When you purchased a Scooter Blenny, you have to spend 88 coins and get only 29 XP. If you need more XP buy expensive fish to get more Fishville experience points. It's better stick to a strategy when buying fish in Fishville. Your aim is to maximize profits when buying and selling fish. One way is to calculate the percentage profit for each fish. For an example let's calculate the profit for Shy Hemlet. Shy Hemlet grows in 240 min, sells for 89 coins and costs 35 coins. Therefore the percentage profit is 154%. In this manner you will be able to get an idea about the profitability of each fish. Also you have to think about maturing time to get a real picture about the profitability. Best strategy is to buy fish that gives you more profits in less time. There are more Fishville cheat codes for making the game much easier. If you follow these simple rules, you don't need to depend only on cheats reach higher levels. Here is another Fishville cheat code to get more points and coins. This seems obvious but many players forget this. It is necessary to feed your fish regularly to get more points. You may feed them in large amounts once or twice a day or feed them in small amounts every few hours. Best way is feeding them in small amounts throughout the day to get more points and coins. Fishville on Facebook can make much enjoyable with cheats like this. If you want to fill up your tank with unique looking fish and various decorations, one of the best ways for this is sending and receiving gifts. Fishville allows sending one gift a day. Here is a tip to send more gifts at the same time. First you have to open Fishville gifts web page in several tabs of your web browser. Then send gifts to the same person by using each opened tab. In this way you could be able to send more gifts and fill up your tank quickly. Open the Gift Box and then you will find a place to type your password. Use these passwords to unlock following Fishville on Facebook cheats. Try these codes. Use this Fishville game tip to gain more coins and experience points. When you wait for your fish to mature enough to sell, you can visit a friend to help him to clean his tank. Also you can help him to adjust their volume for optimum play. If you have more friends you can earn more coins and points in this way. Anyway you can do this only once a day. When you clean up the algae in your tank or a friend's tank, click on them very fast. Then you will see a sponge on each one you clicked. If you have more friends you can get more benefits in most of online games. There's no difference for this Facebook game too. Being a social game you have to expand your community to gain more advantages and advance quickly through levels. In Fishville you can visit your neighbor’s homes and appreciate their fish tanks. This is a great way to gain more friends. 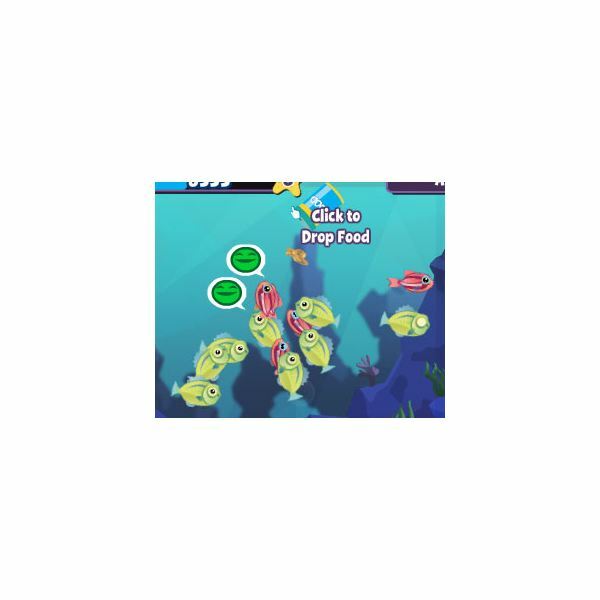 If you help them to manage their fish tanks, you will get more points and coins. This is very crucial in the early stages of the game. Because it makes easier to earn more coins and points in the later stages. Then it's quite easier to reach higher levels faster. There are numerous websites that promises cheats and related programs for Fishville on Facebook. Most of them are fraudulent websites and make sure to avoid them. Those paid programs may lead to end of your Fishville account. Just stick to basic cheat codes and tips. This advice is valid for other similar games too. 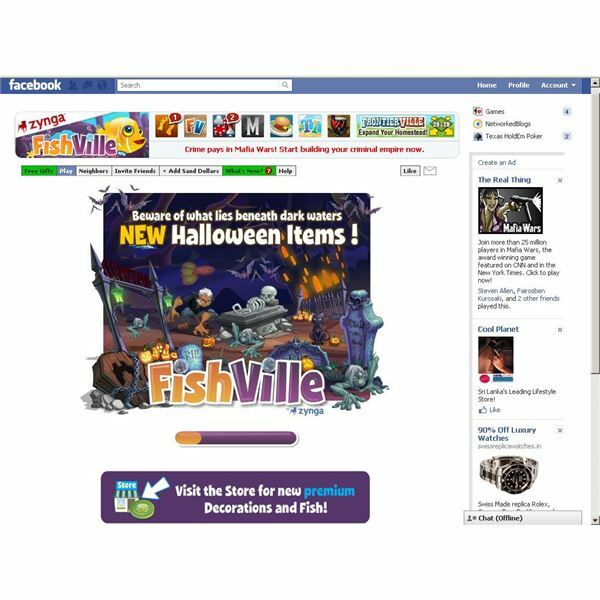 Are you a Facebook Fishville addict? Then you may like to know how to make your game much easier. Try these Fishville cheat codes and have a nice time with Fishville. Do You Really Want to Enjoy Facebook Fishville? Then Read This!